Click on the link below to download the form. To be clear, this is not a Right or Left, Republican or Democratic, North or South, or Black or White issue. This is a matter of right or wrong. We are confronted with a life and death moral dilemma. We must decide whether to take a stand against those who advocate racism, anti-Semitism, and xenophobia. A united body of Blacks, whites, Christians, Jews, Muslims, Democrats, Republicans, and like-minded individuals willing to reject purveyors of hate will defeat their attempt to take this country back to a very dark place. We must publicly denounce these attitudes and behavior. To remain silent is to condone it. To equivocate is to give it cover. This must not be the message of our nation or of our leaders. The Waco NAACP condemns the blatant, heinous acts of hate groups and so too should those who respect our country’s most treasured values. To many African-Americans, Jews, and others, the images of armed Ku Klux Klanners, white nationalists, and neo-Nazis marching in Charlottesville seemed like a horrific nightmare that recalled decades of intimidation, violence, and murder. Tragically, those scenes were all too real as these groups gathered in a so-called Unite the Right rally to “take America back.” In 2017, carrying guns, knives, and other weapons, the KKK marched on Charlottesville. White supremacists with torches surrounded a church filled with African-American ministers and their allies. Intending to evoke the 1930s Hitler Youth marches, Neo-Nazis conducted a torchlit parade through the campus of the University of Virginia shouting Nazi slogans: “Blood and soil!” “You will not replace us!” “Jews will not replace us!” Minus the hoods of the twentieth century, these mostly white young men instead proudly exposed their faces and wore white polo shirts and khaki pants. Former KKK leader David Duke and white nationalist leader Richard Spencer were conspicuously present at the events. The intimidation of the parade and march was followed up the next day by actual violence. White supremacists savagely beat African-American Deandre Harris in a parking lot. Two state troopers, who were monitoring the event from a helicopter, crashed and died. The KKK, white nationalists, and neo-Nazis armed with shields and wooden clubs charged and attacked a group of counter-protestors. The protestors fought back. Ultimately, a white nationalist (allegedly) deliberately drove his car into a crowd of counter-protestors killing Heather Heyer and wounding 19 others. The president’s repeated refusal to unequivocally condemn these hate groups demonstrably serves to embolden them. The president must be called out for failing to show moral leadership. To do so is not a partisan tactic. It is simply right. Casting blame on the counter-protestors, who chose to defend themselves, is reminiscent of charges brought against civil rights marchers in the 1960s who were called violent when they were attacked by white citizens, law enforcement, and the KKK. The president must not give quarter to the KKK, white supremacists, and neo-Nazis through ambiguous rhetoric or false moral equivalency. African-Americans, indeed all Americans, need the president to unreservedly side with us against the purveyors of hate. Period. We must all stand together against those who are uniting for hate. Make no mistake. Richard Spencer and his cohorts will not stop with Charlottesville. While Texas A & M has prevented a rally “inspired by [Charlottesville’s] “Unite the Right” event, that will probably be a temporary situation. The hate groups are coming. The racist damage at Willow Grove Baptist Church demonstrates that they are already among us. Those who would minimize the incident at Willow Grove as teenaged vandalism, misjudge the case. If the damage was perpetrated by teenagers, that is both tragic and dangerous. Tragic, because it means young people have imbibed racist, bigoted ideas. Dangerous, because youth can be violently impulsive. We must engage our youth and teach them that the KKK terrorized and lynched African-Americans and burned their churches for decades. We must teach them that the Nazis exterminated homosexuals, the intellectually disabled, gypsies, and six million Jews. And we must love them, because love transforms and redeems. However, to reclaim these young people we must recognize that evil is among us. This moment in our country requires us to face hard truths about our racial history. For instance, we must face the fact that most of the Civil War statues and memorials around this country were erected with the express purpose of re-asserting white supremacy over African-Americans after Reconstruction, during the Jim Crow era, and after the Civil Rights Movement. Some may argue that they were erected to recognize our history. Yes, the Civil War is a part of our history. It is the history of people who left the United States and waged war against it in order to keep Black people enslaved. That objective was written into the constitution of the Confederacy. Some may argue that the Civil War was fought over states’ rights. States’ rights to do what: to enslave Black people. The Nazi era is a part of Germany’s history. You do not see statues of Hitler sprinkled around that country. Whether these statues remain, come down, or are removed to museums, they represent a flashpoint of conscience which this country must confront. The purveyors of hate have made their position clear. The rest of us must decide which side of history we are on. 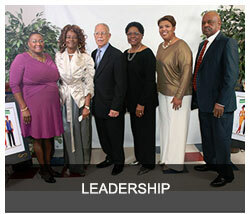 The Waco NAACP will continue to be steadfast and immovable in the fight against discrimination, prejudice and hatred. The Waco NAACP is prepared to meet, march, and hold rallies that counter the racist, white supremacists ideologies that these groups espouse. The Waco NAACP will persist until we drive out racism and racist actions. We will accept all people of good will who are willing to stand with us. And we are not afraid. 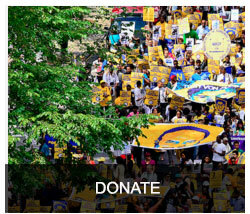 JOIN AND SUPPORT THE NAACP WITH YOUR DOLLARS AND YOUR RESOURCES. We are broken-hearted about the attacks on the Dallas Police and DART Officers. We are broken-hearted about the deaths at the hands of police of Alton Sterling and Philando Castile. As John Donne wrote, the death of any man diminishes us all. The Waco NAACP has a good relationship with the Waco Police Department. The relationship between the Waco NAACP and the Waco Police Department did not begin with the latest tragedies in our country. Rather, it started over a year ago with retiring Chief Brent Stroman. Well before the violence of last week, Acting Chief Gentsch reached out to the Waco NAACP to continue that relationship. I want to publicly thank retiring Chief Stroman and Acting Chief Gentsch for their commitment. I am proud that the Waco NAACP and the Waco Police Department have partnered to be proactive rather than reactive. The Waco NAACP supports law enforcement. And though I do not presume to speak for all African Americans, I am confident in stating that the African-American community supports all law enforcement officers who are working to protect and serve all communities. Neither the Waco NAACP nor the Black Lives Matter Movement is demonizing the police. We know that the majority of law enforcement officers are committed to protecting all members of the community. We do not teach our children to hate the police. Yet, it is possible to simultaneously support law enforcement and criticize them. We cannot continue to pretend that law enforcement officers are blameless when they use unwarranted lethal force against African Americans. Just as we cannot paint all police officers with a broad brush for the actions of a few, we cannot do that to the Black Lives Matter Movement. Thus, even as I support law enforcement, I want to stand with the Black Lives Matter Movement. We cannot allow these young people to be vilified because of the actions of agitators who are not affiliated with the movement. Nor should the acts of an apparently mentally-ill veteran be used to silence these young activists. When they marched to criticize a flawed criminal justice system and bad actors, these young people were exercising their constitutional rights. By disrupting society and inconveniencing us, they have forced a national conversation on much needed criminal justice reform. That is a good thing. Have their tactics been blameless? No. Have they sometimes used over-the-top rhetoric? Yes. Paraphrasing Martin Luther King, protests are the voice of the unheard. Rather than allow their voices to be shut down by making false links between their righteous cause to end unjust violence against African-American lives and the killing of innocent law enforcement officers in Dallas, we need to hear Black Lives Matter. You ask why protestors do not flood the streets when so-called Black-on-Black violence occurs. Black-on-Black crime is a blight on society. So is White-on-White crime. I do not condone crime period. However, criminals, whether they are White or Black, are just that—criminals. Unlike criminals, law enforcement officers have been sworn to serve and protect the community and its citizens. They have been licensed to use deadly force to do so. Thus, when police officers break that sacred trust by unjustly directing that deadly force at African Americans, citizens are rightly outraged. Thus, instead of demonizing law enforcement or Black Lives Matter, there needs to be a conversation about criminal justice reform in this country. In the videos that are confronting us on a devastatingly regular basis now, the larger American society is witnessing what African Americans have experienced for years. All America must acknowledge the truth that we see in many of these videos: African Americans face biased and racist treatment from some law enforcement officers that sometimes leads to their unwarranted deaths. No one is suggesting that law enforcement does not face extremely difficult and dangerous circumstances. We watched as they ran toward the shots last week. We have heard the stories of how they protected the very people who were protesting. However, the protestors were not criticizing those brave, committed public servants. They were condemning those officers who have broken trust with communities they serve and created a bad situation for good, decent officers like those. While the majority of law enforcement officers are committed to protecting all lives, just as those officers who ran to protect the lives of the protestors in Dallas did, African Americans do not know which officer they will face in a “routine” traffic stop—the public servant or the menace to society. It is hard to have “the talk.” However, it is even harder and more frustrating to see so few officers facing consequences for unwarranted violent acts against African-Americans. Tamir Rice was a child with a toy gun who was killed by police within seconds of arriving; officers faced no charges. Freddy Gray did not break his own neck in the back of that police van, yet no officer so far has been held accountable. John Crawford was strolling around Walmart with a BB gun; police shot and killed him instantly. Again, no charges resulted for law enforcement. Michael Brown, an unarmed jay-walking teenager who was not a suspect at the time, was shot and left to lie in the street for four hours—no indictment. Officers using deadly force when it is not warranted must be punished. The NAACP and Black Lives Matter demand criminal justice reform. First, there must be a willingness of law enforcement to admit that there are bad officers among them and to punish them to the extent of the law. Second, law enforcement must shift from militaristic policing of African-American neighborhoods to community policing where officers development relationship with citizens so that they begin to see African Americans as citizens not as criminals. Acting Chief Gentsch served as an officer in East Waco for years, and consequently, knows many citizens in that neighborhood. Third, local communities need to have civilian review boards with subpoena power to provide needed oversight of police misbehavior. Fourth, local jurisdictions must acquire body cameras to provide additional insight into encounters between officers and citizens. Fifth, Congress needs to pass a federal anti-profiling law that includes data collection so that bias can be determined or dismissed in local jurisdictions. If we want this cycle of violence to stop, together we must acknowledge the truth and take action on criminal justice reform. Dr. Peaches Henry is a graduate of the University of Texas. She received both her master’s and doctorate in English from Columbia University in New York. She is an English Professor at McLennan County Community College. 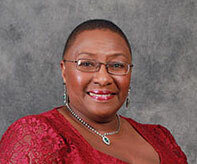 She is the current president of the Waco McLennan County branch of the NAACP. The Act Locally Waco blog publishes posts with a connection to these aspirations for Waco. If you are interested in writing for the Act Locally Waco Blog, please email ashleyt@actlocallywaco.org for more information. Our promise to you is to carry out this agenda in McLennan County. However, without a strong membership, our mission for service and equality is impossible. We offer a special thanks to the Waco community and those who serve this great community. We need you in the Waco Branch of the NAACP. We need your support. We need your input. 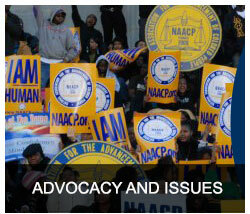 I encourage you to join the NAACP. Fighting for Criminal Justice for all individuals. Protecting Voting Rights and Political Representation diligently. Fighting for Health equality for all McLennan County citizens. Securing quality Education for all students. 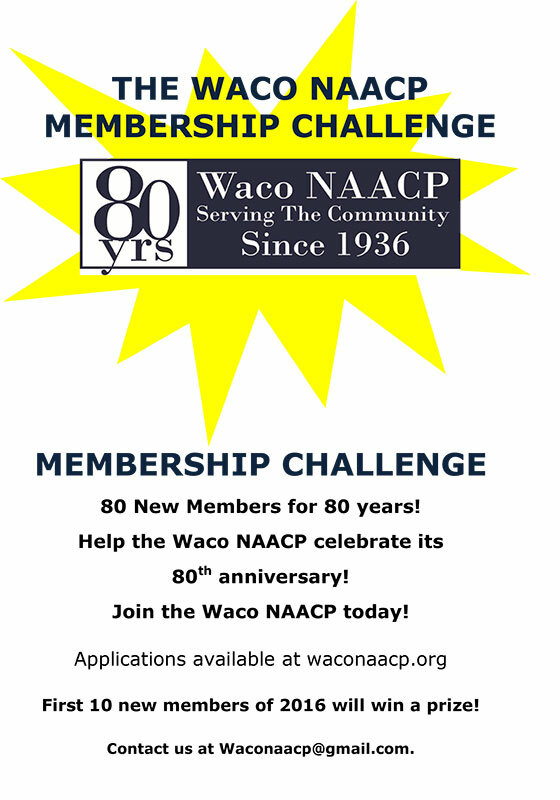 In 2016, the Waco NAACP will mark its 80th anniversary of fighting for justice in McLennan County. To the Waco NAACP and to me personally, serving the McLennan County community is a sacred trust that has been left for us to honor. We of the Waco NAACP have committed ourselves to the ongoing Civil Rights Movement. I look forward to greeting you when you join America’s journey for justice! See you then. 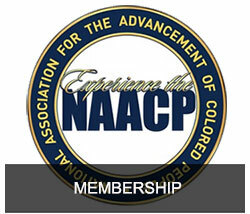 Thank you for considering membership in the Waco NAACP. We have several options for you to become a member. THE WACO NAACP IS A 501(C) 4. 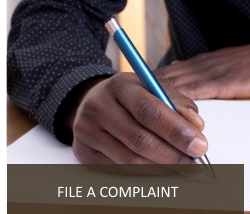 CONTRIBUTIONS OR GIFTS TO THIS NAACP UNIT ARE NOT DEDUCTIBLE AS CHARITABLE CONTRIBUTIONS FOR FEDERAL INCOME TAX PURPOSES. HOWEVER, YOU MAY USE YOUR CONTRIBUTION FOR ADVERTISING AND PROMOTION AS A BUSINESS EXPENSE FOR ADVERTISEMENT OR PROMOTION. If you prefer, you can print out the form below and send it to us with your check. Please choose a membership category below to pay via credit card. You can also renew your membership using these buttons. Adults 21 and over. Membership includes a one-year subscription to The Crisis Magazine. Youth under 21. Choose membership with or without a one-year subscription to The Crisis Magazine. If you are paying for someone else with your PayPal account, please specify their name in the box. Be sure to indicate the name of your company. 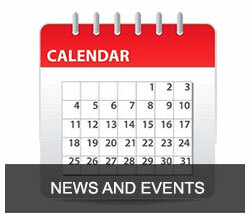 We have other membership options such as paying lifetime memberships over a period of years. Please get in touch with us if you are interested in any of these options.